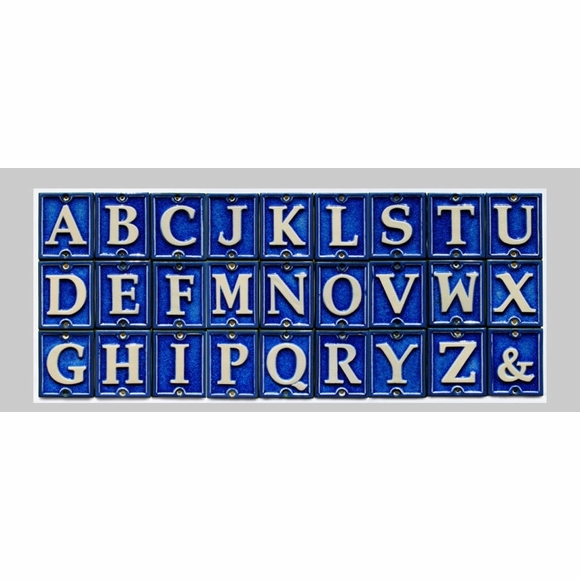 Ceramic Glass Letter Tile - - to spell out a street name for your home address or to use as part of your house number, suite number, apartment or condo number. Sold by the individual letter. Order as many as you need. Each letter tile measures 3.5" wide x 4.25" high and has two holes for mounting. 3/4" long #10 stainless steel screws are suggested for mounting. Matching Ceramic Glass numbers 0 through 9 are shown in Related Products.